 Black painted welded steel frame with coated wire shelves.  Suitable for up to A2 sized paper.  H620 x W750 x D500mm.  Free delivery on everything.  Black painted welded steel frame with coated wire spring loaded shelves. 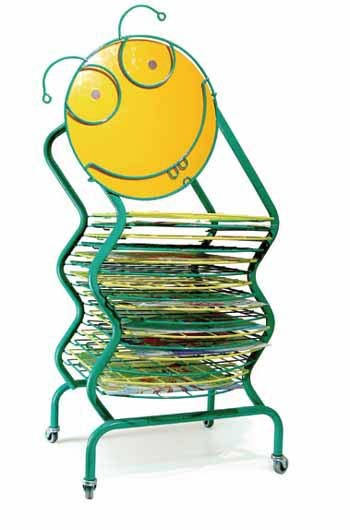  Also features wheels at the rear of the frame to enable mobility when the rack is tilted.  H750 x W610 x D520mm.  Suitable for up to A3 sized paper.  H360 x W505 x D410mm.  H1080 x W620 x D505mm.  Suitable for up to A4 sized paper.  H1080 x W620 x D415mm. 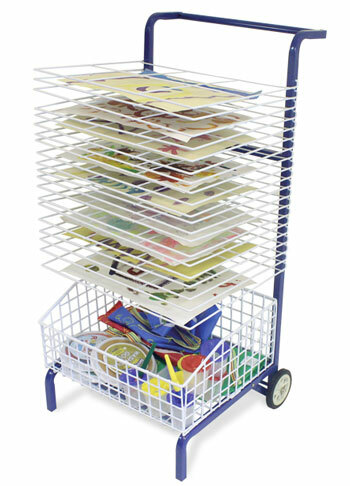 A sturdy metal trolley supplied with 20 wire drying shelves and storage basket. 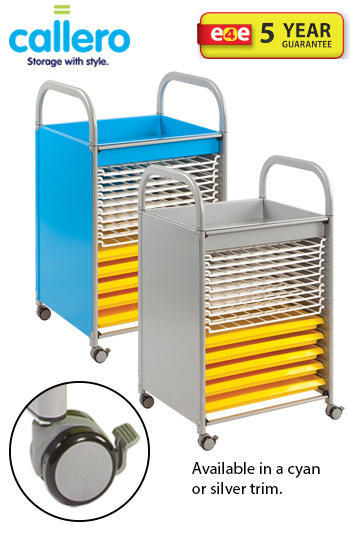 The trolley is supplied on 2 castors and is easy to move around the classroom. 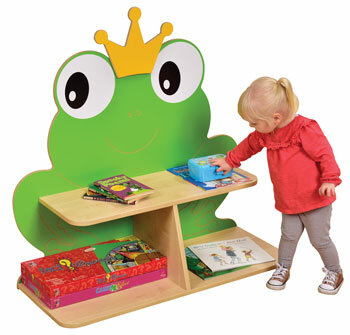 The trolley is supplied on 2 castors and is easy to move around the classroom. 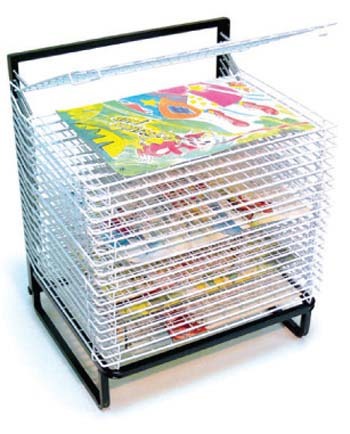  A sturdy metal trolley supplied with 30 wire drying shelves. 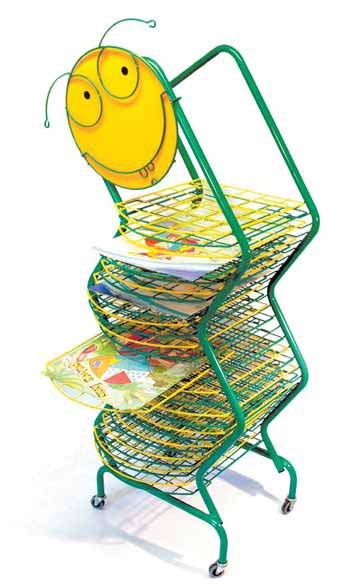  The trolley is supplied on 2 castors and easy to move around the classroom.  Up to A2 paper.  Dimensions: 1030 x 650 x 550mm. 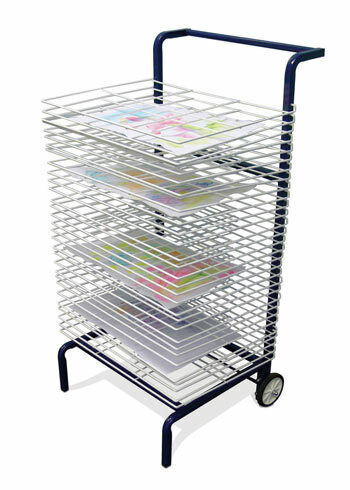  A superior strength, heavy duty, robust steel framed art trolley. 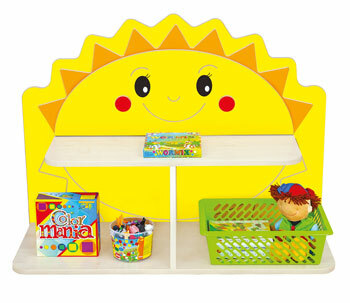  Includes space for multiple storage trays, a paper store and an A2 drying racks. 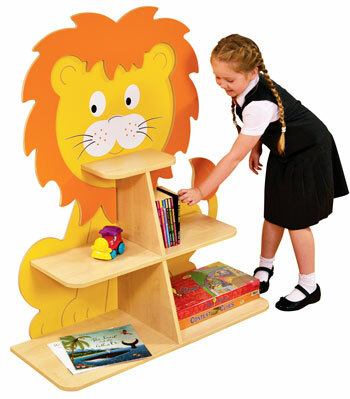  Designed for longevity and to manage the daily rigours of a busy school environment. 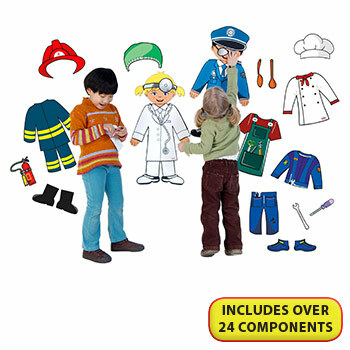  Accessories not included. Trays are included. 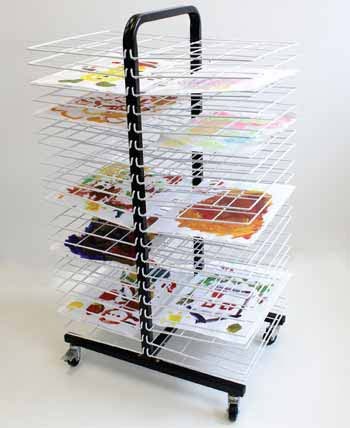  Features spring loaded paper drying racks which can hold up to 30 x A2 sheets or 60 x A3 sheets. 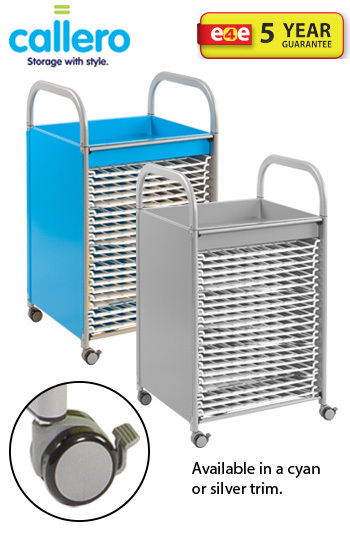  Features large lockable heavy duty castors for extra mobility. 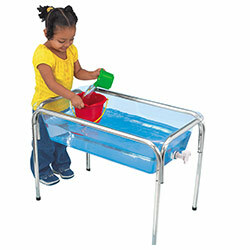  Can be supplied with storage trays which are removable for ease of use and cleaning. 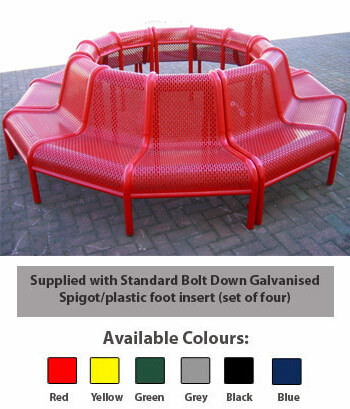  Durable powder coated, reinforced framework.  Dimensions: (HxWxD) 1100 x 1020 x 680mm. 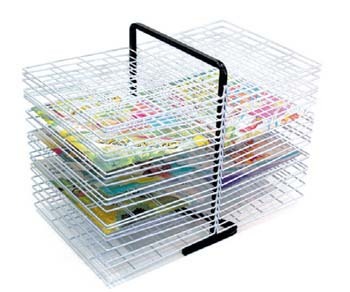  Papers can be left to air dry on the open mesh trays of this rack, utilising the available floor space.  Designed to meet the drying requirements for the screen-printing industry, whilst being versatile and functional.  Each tray is fixed with a positive lock mechanism that holds the tray securely in place providing equal shelf spacing and provides sufficient space for air between the shelves. 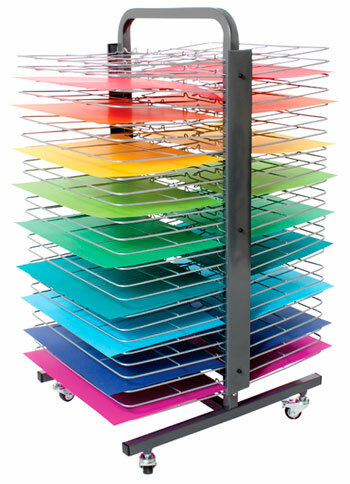  The frame and each of the drying trays are manufactured from high quality steel, finished with a quality powder coating to prevent rust, and easy to wipe clean. 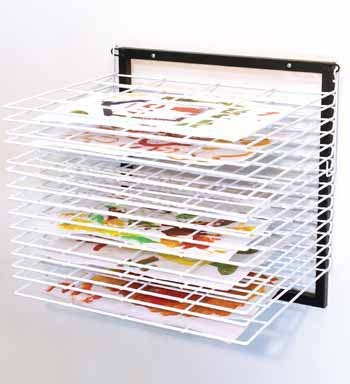  Each tray can hold up to A2 size paper with some over-hang.  Rack: 750 x 470 x 350mm. 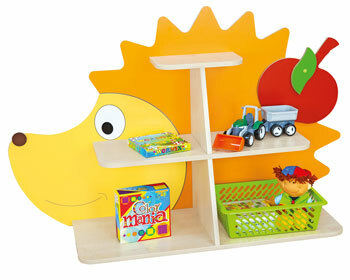  Shelf: 445 x 270mm.  Rack: 950 x 430 x 330mm. 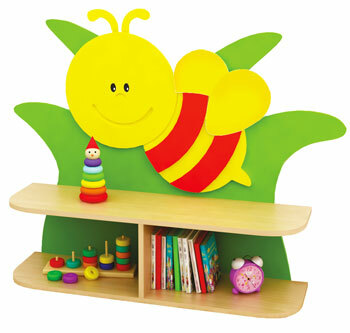  Shelf: 430 x 300mm. 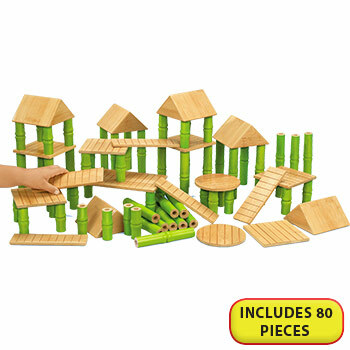  Supplied flat packed. Instructions included.  Rack: 800 x 570 x 470mm.  Rack: 980 x 570 x 470mm. 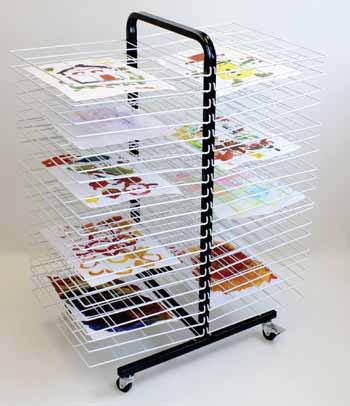 A beautifully designed mobile character dryer with 16 sliding plastic coated wire shelves that will enhance any creative session. 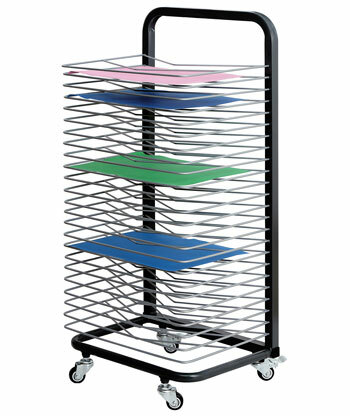 A beautifully designed mobile character dryer with 30 sliding plastic coated wire shelves that will enhance any creative session. 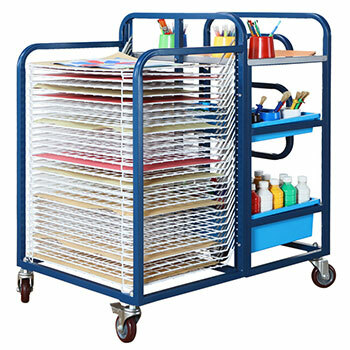  Handy storage trolley with recessed top, 5 large shallow trays and 10 drying racks that are ideal for storing paper and art materials. 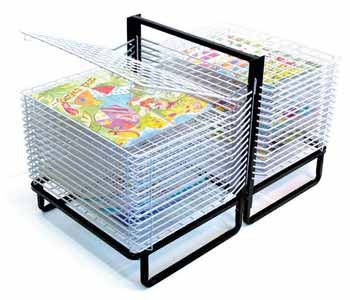  This unit does not follow the modular style of other Callero Tray Storage units due to its larger size but it does provide elegant storage solutions for any art room.  Unlike traditional metal school storage that uses square tubing, the new Callero range boasts a modern, seamless design featuring ultra smooth contoured steel.  Rounded edges mean you can be sure that safety is never compromised, and a choice of silver or cyan trim on all units makes Callero customisable to suit your current classroom style.  Supplied with castor wheels.  Includes a large recessed top ideal for holding pots and brushes. 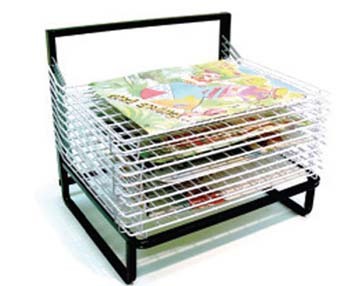  Includes 5 large shallow trays. 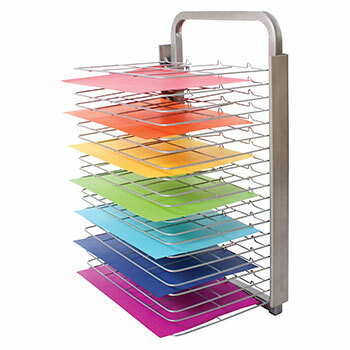  Includes 10 drying racks.  The trays are available in a range of colours.  Available in cyan or silver trim.  Supplied with 4 castors, 2 with brakes.  Dimensions: (HxWxD) 945 x 570 x 510mm. 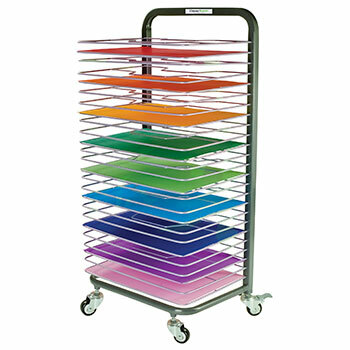  Handy storage trolley with recessed top and 20 drying racks that are ideal for storing paper. 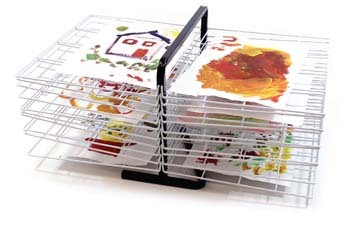  Includes 20 wire drying racks. 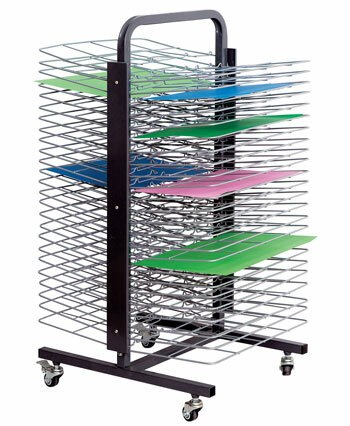  Drying racks unit including 10 height adjustable racks. 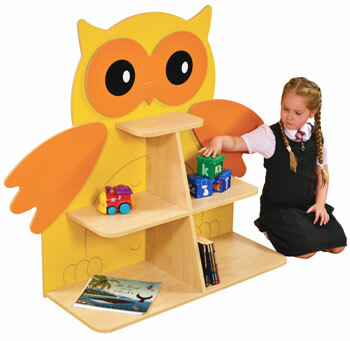  Playscapes is a new range of beautifully made furniture, which is expertly designed for early years environments within schools and nurseries. 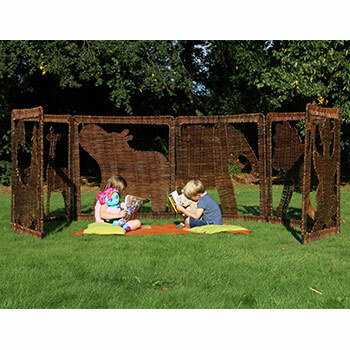  Designed to allow maximum storage for arts and crafts materials. 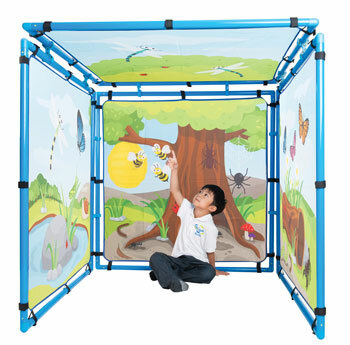  Features a maple mealime surface which is waterproof and easy to wipe clean.  Features premium lockable castors with anti-scratch, low noise wheels. 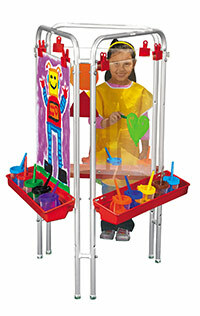  Includes 10 height adjustable drying racks for drying tall models. 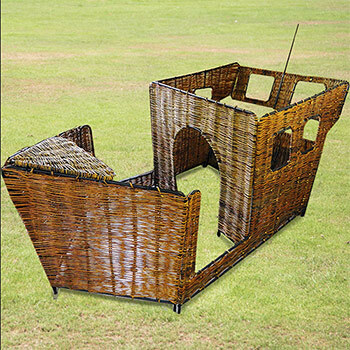  Can hold up to 20 racks (10 sold separatley). 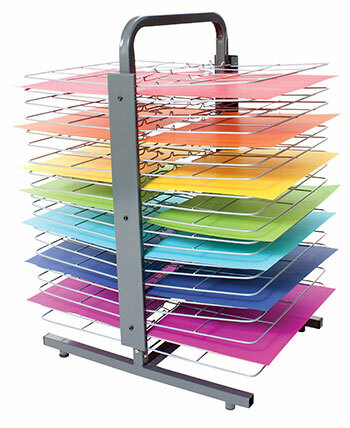  Drying racks are fully removable.  Fits A2 sized paper.  Made in the U.K.
 Dimensions of unit: (HxWxD) 1000 x 710 x 510mm.